Gamblin's line of Dry Pigments gives the artist access to color in its purest form and greatest versatility. These completely lightfast pigments can be used to make all types of painting mediums including: oil colors, encaustic, and egg tempera. Gamblin Artists Colors Co recommends the use of a respirator approved for nuisance dusts when handling dry pigments. 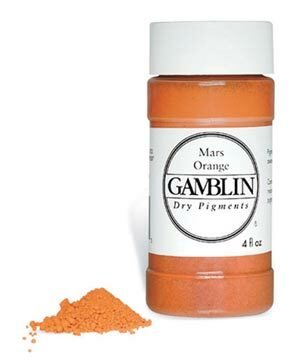 Gamblin Dry Pigments are the same high quality pigments used in the creation of Gamblin Artists Grade Oil Colors, as well as the Artists Sketching Oil Colors, but in a dry form. Perfect for use in special techniques and for creating your own artists colors.